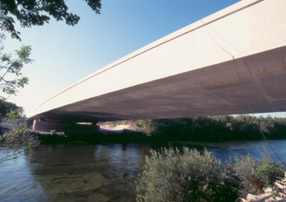 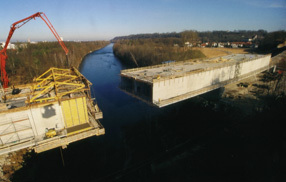 Post-tensioned concrete hollow box girder with two cells, cantilever slabs at the bottom, no crossbeam neither above the bearings nor within the spans. 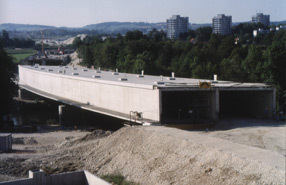 Tunnelbridge as a connection between two greentunnels. 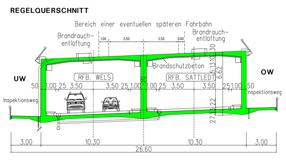 Traffic on the upper deck is possible too.